Always Crafting: It must BEE someones birthday! I made a birthday gift tag for someone special's birthday using a some odd girl image. The some odd girl image I used is Bee Tia! The Tia images are adorable. 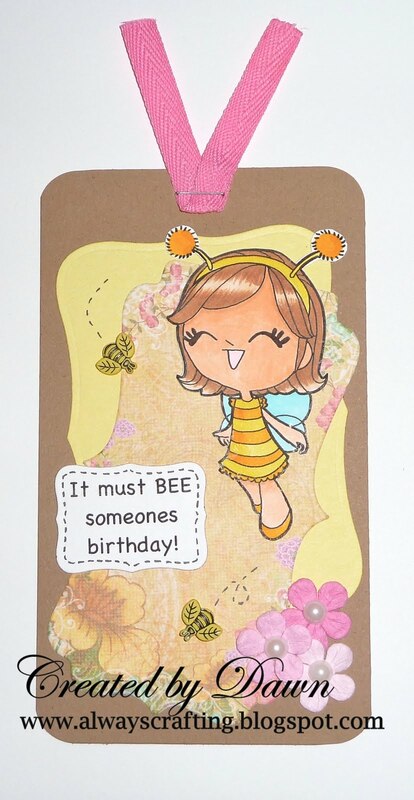 It works perfectly with the saying and the little bee buttons don't you think? Great tag Dawn, lovely image and the papers are a perfect match for it.